1. “Belief in God” means believing that there is a God; this is the simplest concept of faith in God. What’s more, believing that there is a God is not the same as truly believing in God; rather, it is a kind of simple faith with strong religious overtones. True faith in God means experiencing the words and work of God based on a belief that God holds sovereignty over all things. So you shall be freed of your corrupt disposition, shall fulfill the desire of God, and shall come to know God. Only through such a journey can you be said to believe in God. 3. The most fundamental requirement of man’s belief in God is that he have an honest heart, and that he fully devote himself, and truly obey. What is hardest for man is to provide his whole life in exchange for true belief, through which he can gain the entire truth, and fulfill his duty as a creature of God. 4. In believing in God, man’s primary aim is to seek life. If you believe in God and yet do not seek life or pursue truth or knowledge of God, then this is not belief in God! That you should still seek to enter the kingdom to be king—is this realistic? Achieving true love for God through seeking life—only this is reality; the pursuit and the practice of truth—these are all reality. Experience the words of God while reading His words: In this way, you will grasp the knowledge of God through real experience. This is a genuine form of pursuit. 5. Today, what is real belief in God? It is the acceptance of God’s word as the reality of your life and the knowing of God from His word in order to achieve a true love of Him. To be clear: Belief in God is so that you may obey God, love God, and perform the duty that should be performed by a creature of God. This is the aim of believing in God. You must achieve a knowledge of the loveliness of God, of how worthy God is of reverence, of how, in His creatures, God does the work of salvation and making them perfect—this is the minimum that you should possess in your belief in God. Belief in God is principally the switch from a life in the flesh to a life of loving God, from a life within naturalness to a life within the being of God, it is coming out from under the domain of Satan and living under the care and protection of God, it is being able to achieve obedience to God and not obedience to the flesh, it is allowing God to gain your entire heart, allowing God to make you perfect, and freeing yourself from the corrupt satanic disposition. Belief in God is principally so that the power and glory of God may be manifested in you, so that you may do God’s will, and accomplish God’s plan, and be able to bear testimony to God before Satan. Belief in God should not be in order to behold signs and wonders, nor should it be for the sake of your personal flesh. It should be for the pursuit of knowing God, and being able to obey God, and like Peter, obeying Him until death. This is what it is mainly in order to achieve. Eating and drinking the word of God is in order to know God and in order to satisfy God. Eating and drinking the word of God gives you a greater knowledge of God, only after which can you obey God. Only if you know God can you love Him, and the attainment of this aim is the only aim man should have in his belief in God. 6. Since you do believe in God, then you must eat and drink of His word, experience His word, and live out His word. Only this can be called belief in God! If you say you believe in God with your mouth and yet are unable to speak out any of His words or put them into practice, this is not called believing in God. Rather, it is “seeking bread to satisfy hunger.” Speaking only of trivial testimonies, useless things, and superficial matters, without possessing even the slightest bit of reality: these do not constitute belief in God, and you have simply not grasped the right way of believing in God. Why must you eat and drink as much as possible of God’s words? If you do not eat and drink of His words but seek only to ascend to heaven, is that believing in God? What is the first step one who believes in God should take? By what path does God perfect man? Can you be perfected without eating and drinking of the word of God? Can you be considered a person of the kingdom without the word of God to serve as your reality? What exactly does belief in God mean? Believers in God should, at the very least, have good behavior on the outside; most important of all is to be possessed of the word of God. No matter what, you can never turn away from His word. Knowing God and fulfilling His will are all achieved through His word. In future, every nation, denomination, religion, and sector will be conquered through the word. God will speak directly, and all people will hold the word of God in their hands; by means of this, humanity will be perfected. 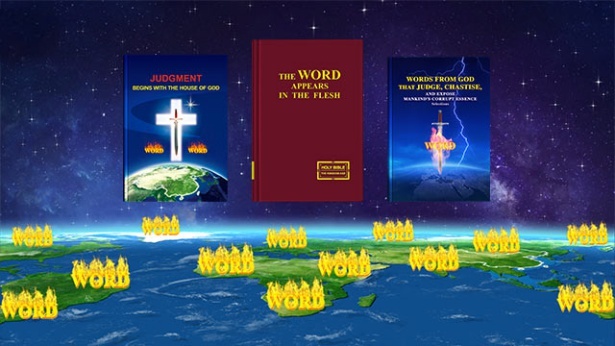 Within and without, the word of God pervades throughout: Humanity will speak God’s word with their mouths, practice in accordance with God’s word, and keep the word of God within, remaining steeped in God’s word both inside and out. Thus will humanity be perfected. Those who fulfill the will of God and are able to bear witness to Him, these are the people who possess the word of God as their reality. 7. In believing in God, your intentions and viewpoints must be put right; you must have a correct understanding and correct treatment of the words of God, God’s work, the environments arranged by God, the man testified by God, and of the practical God. You must not practice according to your personal thoughts, or make your own little plans. You must be able to seek truth in everything and stand in your place as a creation of God and submit to all of God’s work. If you want to pursue being perfected by God and enter into the right track of life, then your heart must always live in God’s presence, not be dissolute, not follow Satan, not leave Satan any opportunities to do its work, and not let Satan use you. You must completely give yourself to God and let God rule over you. 8. You may think believing in God is about suffering, or doing many things for Him, or for the peace of your flesh, or for everything to go well for you, for everything to be comfortable—but none of these are purposes people should have for believing in God. If that is what you believe, then your perspective is incorrect and you simply cannot be perfected. God’s actions, God’s righteous disposition, His wisdom, His words, and His wondrousness and unfathomableness are all things people ought to understand. Use this understanding to get rid of the personal requests as well as the individual hopes and notions in your heart. Only by eliminating these can you meet the conditions demanded by God. Only through this can you have life and satisfy God. Believing in God is for the sake of satisfying Him and for living out the disposition He requires, so that His actions and glory may be manifested through this group of unworthy people. That is the correct perspective for believing in God, and also the goal you should seek. 9. 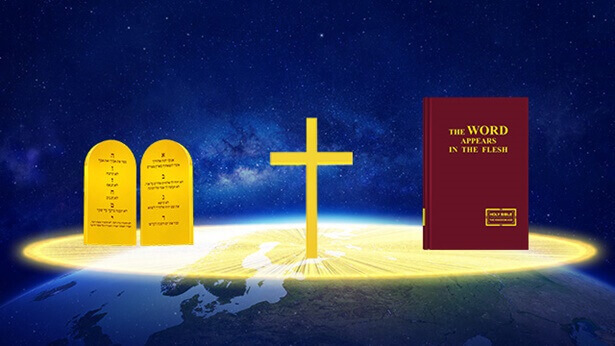 If you practice and experience God’s word, it becomes practical to you; if you do not seek to practice it, then God’s word to you is little more than the legend of the third heaven. In fact, the process of believing in God is the process of you experiencing His word as well as being gained by Him, or to put it more clearly, to believe in God is to have the knowledge and understanding of His word and to experience and live out His word; that is the reality of your belief in God. 11. Believing in God is not so simple as man may say. As God sees it, if you only have knowledge but do not have His word as life; if you are limited only to your own knowledge but cannot practice the truth or live out the word of God, then this is proof still that you have no heart of love for God, and shows that your heart belongs not to God. Coming to know God by believing in Him; this is the final goal and that which man shall seek. You must devote effort to living out the words of God so that they may be realized in your practice. If you have only doctrinal knowledge, then your faith in God will come to naught. Only if you then also practice and live out His word can your faith be considered complete and in accord with God’s will. 12. Even though people with religious beliefs have faith in God, they don’t seek dispositional change, don’t pursue knowledge of God, and only seek the interests of their flesh. Many among you have faiths that belong in the category of religious convictions. That is not true faith in God. To believe in God people must possess a heart to suffer for Him and the will to give themselves up. Unless they meet these two conditions it does not count as faith in God, and they will not be able to achieve dispositional change. Only people who genuinely pursue the truth, seek knowledge of God, and pursue life are those who truly believe in God. 13. Man thinks that belief in God is the pursuit of beholding signs and wonders and the pursuit of ascending to heaven and the third heaven. There is no one who says that their belief in God is the pursuit of entry into reality, the pursuit of life, and the pursuit of being gained by God. What value has such a pursuit? Those who do not pursue the knowledge of God and the satisfaction of God are people who do not believe in God, they are people who blaspheme God! 14. You believe in God and know God, which shows that your belief in Him is genuine. If you continue to experience until the end yet are still unable to know God, then you are surely someone who resists God. Those who only believe in Jesus Christ but do not believe in the incarnate God of today are all condemned. They are all contemporary Pharisees because they do not recognize the God of today, and they all resist God. No matter how devoted their belief in Jesus is, it will all be in vain; they will not receive God’s praise. All those who say that they believe in God yet have no true knowledge of God in their hearts are hypocrites! 15. You believe in God and follow God, and so in your heart you must love God. You must cast aside your corrupt disposition, must seek to fulfill God’s desire, and must perform the duty of a creature of God. Since you believe in and follow God, you should offer everything to Him, and should not make personal choices or demands, and you should achieve the fulfillment of God’s desire. Since you were created, you should obey the Lord that created you, for you are inherently without dominion over yourself, and have no ability to control your destiny. Since you are a person that believes in God, you should seek holiness and change. Since you are a creature of God, you should adhere to your duty, and keep your place, and must not overstep your duty. This is not to constrain you, or to suppress you through doctrine, but is the path through which you can perform your duty, and can be achieved—and should be achieved—by all those who do righteousness. 17. If you wish to believe in God, and wish to gain God and gain His satisfaction, then if you don’t endure a degree of pain or put in a certain amount of effort, you will not be able to achieve these things. You have heard much preaching, but having heard it does not mean this preaching is yours; you must absorb it and transform it into something that belongs to you, you must assimilate it into your life, and bring it into your existence, allowing these words and preaching to guide the way you live, and bring existential value and meaning to your life—and then it will have been worth you hearing these words. If the words I speak do not bring any upturn in your lives, or any value to your existence, then there is no point in you listening to them. … You will only gain from the belief in God if you approach it as the greatest thing in your life, more important than food, clothes, or anything else! If you only believe when you have the time, and are incapable of devoting your entire attention to your belief, if you are always mired in confusion, then you will gain nothing. 21. When the day comes that you truly behold God and realize the wisdom of God; when you behold all the deeds of God and recognize what God is and has; when you behold His abundance, wisdom, wonder, and all His work in man, it is then that you will have attained successful faith in God.